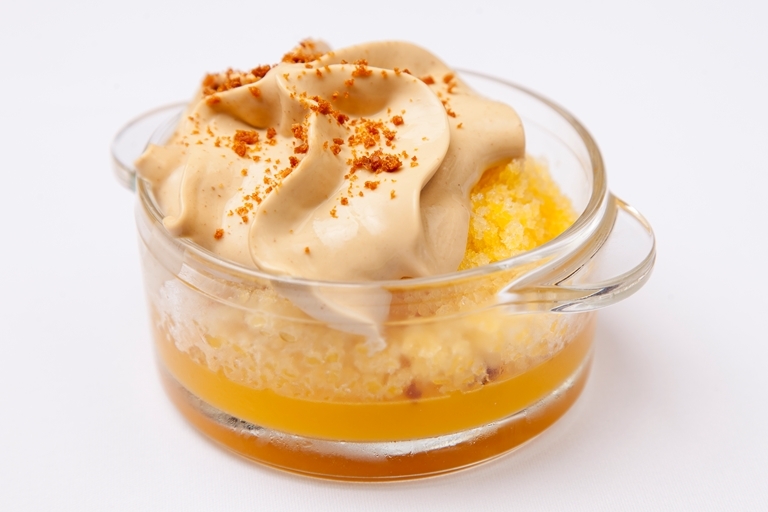 Alyn Williams' clementine trifle recipe presents a cheffy take on a classic - pairing a clementine sponge, jelly and granita with a lightly spiced gingerbread foam. The foam in this recipe will be fluffiest when using an espuma gun, but you can achieve a nice effect without. Instead of placing the cooled crème angalise into an espuma gun, whisk until light using a hand blender. Once frothy, fold in 200ml of whipped cream to lighten the mix and spoon on top of the trifle.